I’m happy to report that everything is looking on upswing and now it’s countdown time! 10 more weeks, more or less, until baby Samuel will make his appearance. 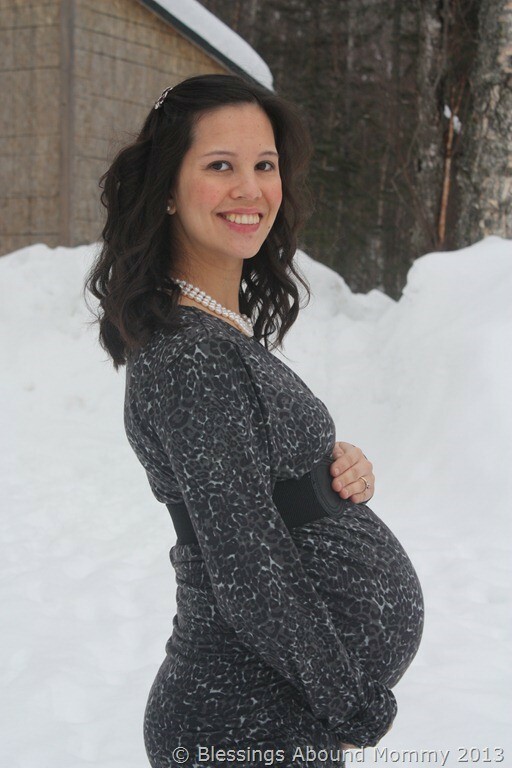 At my 30 week midwife appointment at Mat-Su Midwifery, I learned that I have gained a total of 28 lbs so far and measuring right on track for 30 weeks. The baby’s heartbeat was in the 120s, so he was calm and mellow throughout my appointment. Samuel is still head down, but in posterior position (his back is aligned with my back), so that means I’ll have to encourage him to move and turn his back towards my belly. Good thing I have a little while to get him turn around! I’ll be ensure to take extra measures to get him to spin around. Things like laying on my left side, doing the cat yoga pose, and if needed, peppermint essential oil to help him move. One of my friends who recently had a baby shared with me her success with using peppermint essential oil during her birth to move her baby into a better position for birth. I’m not too worried about it though as like I said previously, he has quite a bit of time left to get where he needs to be before birth. I’m feeling pretty energetic and motivated, as long as I get a restful night of sleep. Sometimes, there’s a down side to being such a light a sleeper. Every little noise that I hear throughout the night is enough to wake me from my slumber. Just the other day, I had the gumption to prepare and assemble 30+ freezer meals. My sister is a Wildtree Rep and I can’t believe how fast and easy they were to do in one night! It took me 4 hours to complete, which I started right after the kids’ bedtime at 8:00 pm. I am so giddy to not have to worry about what’s for dinner for the next month or so! I’ll be ensuring I do an extra set of meals every month until Samuel’s birth so I won’t have to cook much during the first month. In the first week of April, I’ll be also freezing breakfast items and lunches like soup that are simple to freeze and reheat. You know, this mama doesn’t want to starve when this baby arrives and I sure feel famished all day long when I’m nursing a wee little babe. I definitely have an enormous appetite nursing compared to when I’m pregnant and with 5 other little ones to feed and homeschool, it will be nice not worry how to get everyone’s belly filled during that first crucial month of bonding with baby! Nesting seems to be settling in and this week’s plan of attack is rearranging and reorganizing my bedroom to accommodate the baby’s bassinet and belongings for the first three months or so of his life. I’ve put together my birthing essential oils kit with the essential oils I’ll be using during labor and his birth and I will also be working on packing most of my birthing bag. The only things I’m going to leave until later to pack in the birthing bag will be last minute things like toiletries and snacks. Hopefully, the weather will cooperate and I’ll be able to get in our shed soon to dig out my older son’s clothes and bedding from when he was a baby. I don’t feel like trekking out there in the cold to find them and bring them in. Is it just me or does anyone else get sentimental about pulling out your children’s outgrown clothes to put on a new baby? I tear up just thinking about it! How the time has passed us quickly and it will be such a tender moment to see those baby clothes on Samuel that were once worn by my 8 year old son, Ethan, as a baby. I’m praying that the rest of this last stretch in pregnancy will go smoothly and I’ll feel great up until the end. I’ll be continuing my two week check ups at the midwifery, which only seems to speed things up and make me realize how close I really am to holding this baby in my arms! How I can wait, but can’t wait at the same time! 1st Blogoversary Party: Shabby Apple Giveaway!